A leader in premium automobiles, Land Rover Colorado Springs also deals in top quality pre-owned vehicles of all makes. 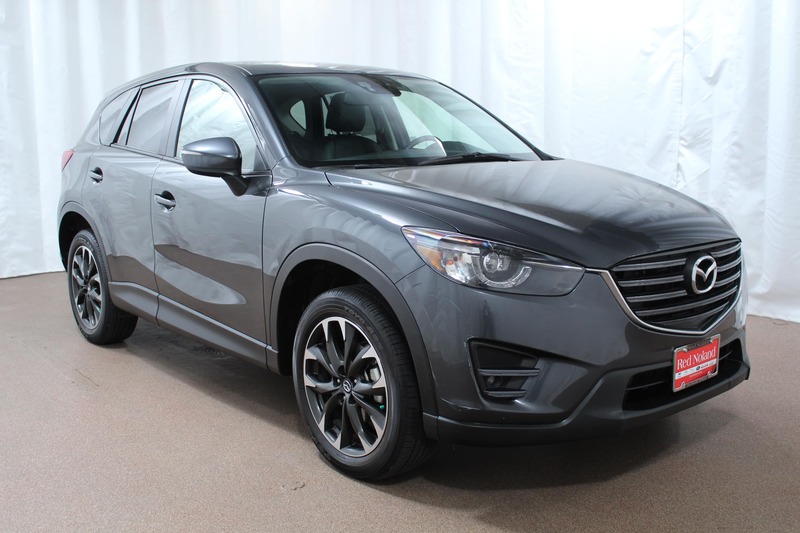 Right now, we have a great deal on a 2016 Mazda CX-5 Grand Touring crossover. Car and Driver called this roomy but compact SUV a “balance of utility, efficiency, and pleasant driving dynamics”. It features the Mazda 184-hp, 2.5-liter 4-cylinder engine. Small but powerful, this engine has an EPA rating of 26 mpg in the city and a whopping 33 mpg on the highway. You can also enjoy your commute around Colorado Springs or anywhere else in Southern Colorado. 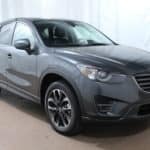 This Used Mazda CX-5 includes the Mazda CONNECT Infotainment system that features the Internet Radio services Aha, Pandora and Sticher. You can also keep your eyes on the road while the SMS Text Message system reads your texts aloud to you. It also lets you reply by speaking your message. The factory navigation system will keep you on track wherever you go in Colorado, from Denver to Durango. When it is time to haul your gear for Colorado’s outdoor lifestyle, the back seats fold down. That almost doubles the 30.9 cubic feet of cargo space to 59.6 cubic feet. That is enough to hold your skis, camping equipment or climbing gear. The best part of this CX5 is that it is a Mazda. Remember their “Zoom, Zoom” tagline? That Mazda-ness is still there. All the reviewers agree that the CX-5 is one of the most fun SUVs to drive. 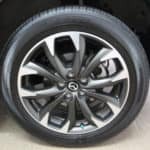 These car writers compared it to the Honda CR-V, Toyota RAV4 and Ford Escape, but emphasized the sportiness of the Grand Touring CX-5. 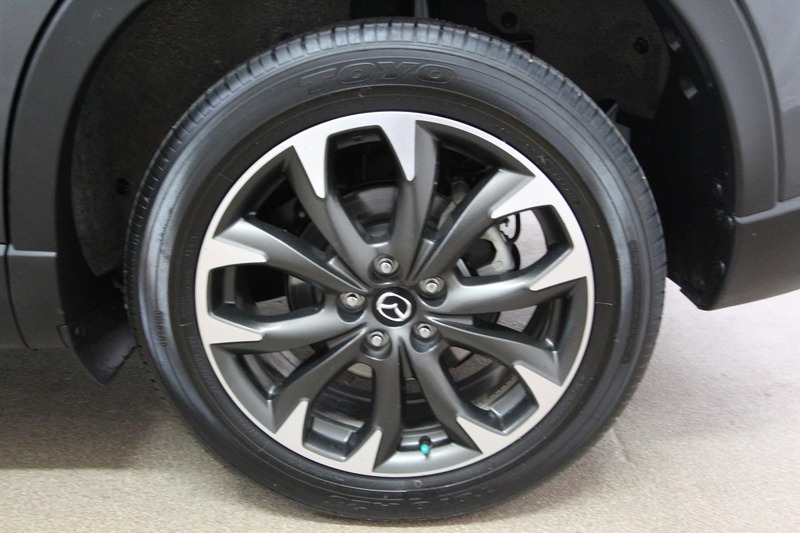 Mazda’s Skyactive technology focuses on a responsive engine, lightweight body and dynamically tuned suspension. That means the “Zoom” is better than ever! 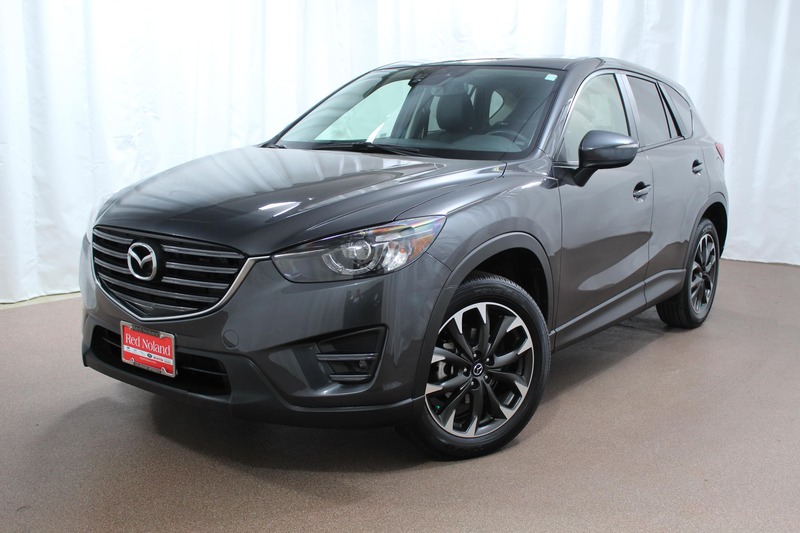 Visit us today in Motor City, just west of downtown Colorado Springs, to see this fine Mazda Crossover!